Last month I spoke to a group of young professionals who work in a range of organisations and professions about cultural intelligence and global leadership. This month as something a bit different from our usual newsletter format, we thought that we would share with you a short video from this presentation. The video is approximately 3 minutes in length. Don't forget to read below - our recommended film! �The Red Obsession� is a documentary that I saw recently and look forward to seeing again because it resonated deeply with me. The global financial crisis has had a significant impact on the French wine industry, particularly in the Bordeaux region. 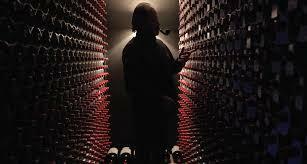 The film is centred around the meeting of China and France in the context of the wine industry. �The Red Obsession� is narrated by Russell Crowe, is beautifully filmed and constructed and takes the viewer on a fascinating journey through France, China and Hong Kong. Believe me, you don't need to be a wine buff to enjoy this film. You will meet both Chinese and French wine makers; learn that not only is China one of the largest buyers of wine in this region, but also that China is in the process of beginning their own wineries. From a cultural perspective this documentary is rich. Both of these cultures are steeped in history and tradition and are worlds apart; so when they come together by association of wine it makes for an enthralling film.